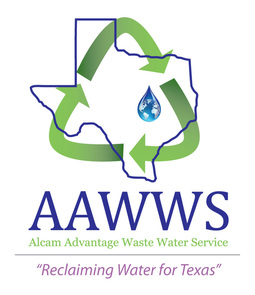 Alcam Advantage Waste Water Service specializes in septic tank design, installation, and maintenance in the Central Texas Region. We are family owned and operated since 1995 and are dedicated to offering reliable, affordable, friendly services in a timely manner when you need them most. Our team is extremely experienced, helpful, and friendly and would love to serve you with your septic needs. Please explore our website to learn more about us, our team, your septic system, and the services we happily provide. For questions or assistance with your septic needs, please contact us. We serve the Highland Area, Lake Travis, Lago Vista, Marble Falls, Leander, Liberty Hill, Bertram, Burnet, Granite Shoals, Kingsland, Sunrise Beach, Lakeway, and Bee Cave among others. Look no further. Alcam Advantage Waste Water Service is here to serve your septic tank installation, septic tank design, or septic tank maintenance needs with our professional, knowledgeable and friendly staff. We serve the Highland Area, Lake Travis, Lago Vista, Marble Falls, Leander, Liberty Hill, Bertram, Burnet, Granite Shoals, Kingsland, Sunrise Beach, Lakeway, and Bee Cave among other. Look no further. Alcam Services is here to serve your septic tank installation, septic tank design, or septic tank maintenance needs with our professional, knowledgeable and friendly staff.